The Opstoberfest event not only includes the traditional food and drink competitions (beef, chicken, pork, dessert, and brew), but also serves as a celebration of the North Texas Section of WEAT. The NTS-WEAT President leads the program with announcements and messages from committee chairs. 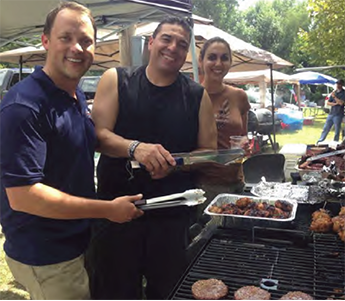 Approximately 150 individuals attend the event and are able to sample food entries from all the teams. All profits from the event benefit the Texas Operations Challenge teams. Click the image to the right to download the 2018 event packet. Teams may register online or submit registration forms by mail. TEAM REGISTRATION DEADLINE EXTENDED! For information on sponsoring the Opstoberfest, please see the Sponsorships page. The Fundraising Chair is Heather Wootton (972-377-7480). 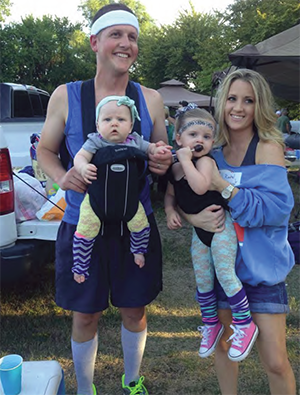 Sweatin’ with the Klements: Lance, Rachel, Brynlee, and Hadley show off their sweet ’80s style. Jeff Sober and Andrea Odegard-Begay take over Basilio Chavez’s grill to cook their losing meatballs. 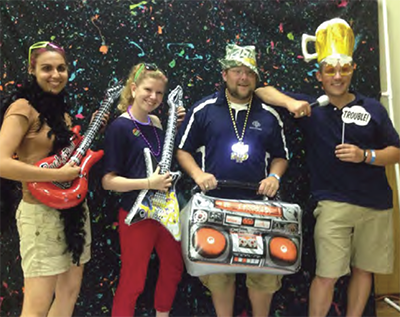 The photo booth was a huge hit! Reppin’ the Garver squad: Andrea Odegard-Begay, Prizemaker Heather Compton, Dean Vrla, and President Jeff Sober.